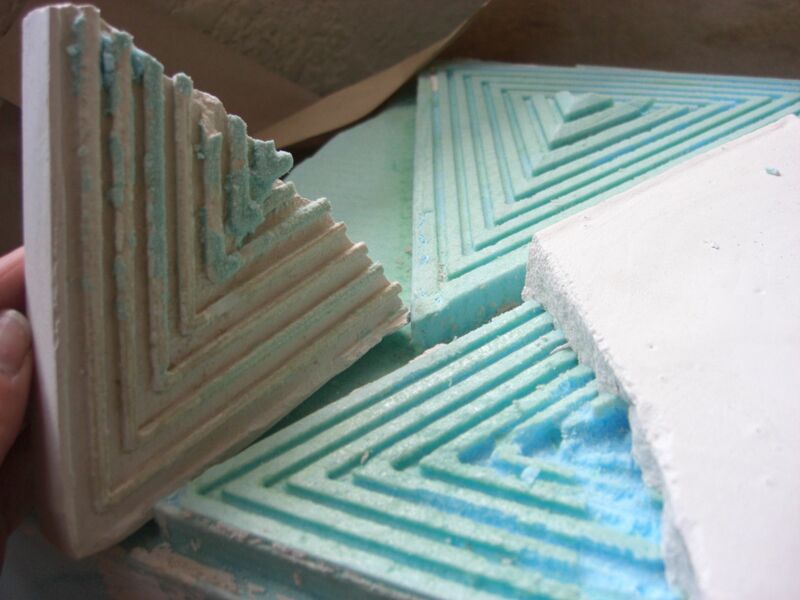 Process 3) Making Plaster tile from form: Clean the form’s edges with nail sandpaper, and apply polyurethane based vanish paint and Vaseline over the form. 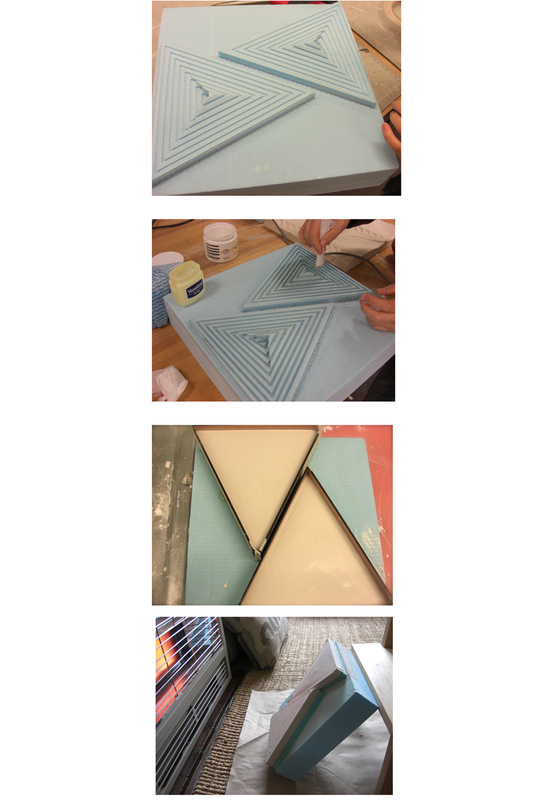 Vacuum form machine was not working so we pour plaster straight onto form. using stop end to stop leak plaster. 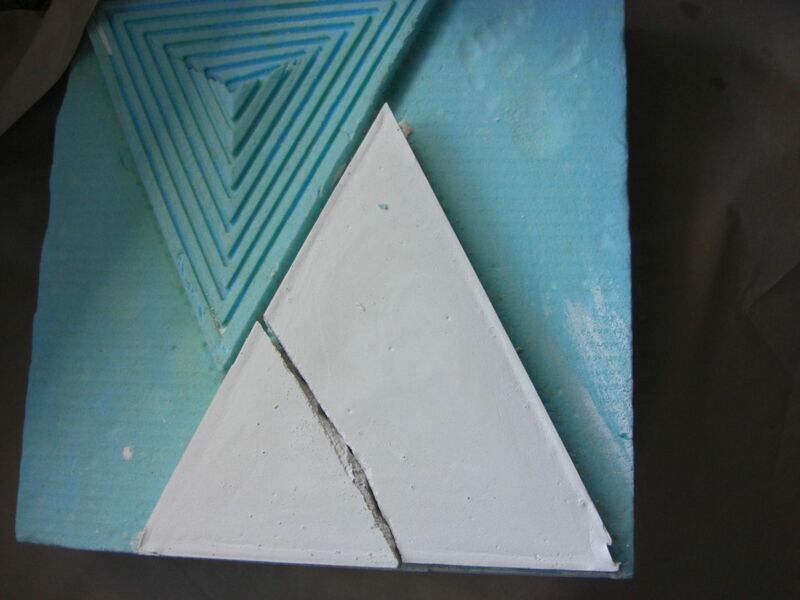 The most difficult part was separating plaster from the form. heating up to melt the vaceline was the solution. but as our tile has fine lines,which caused stick plaster. unfortunately, one form break after all heating up.